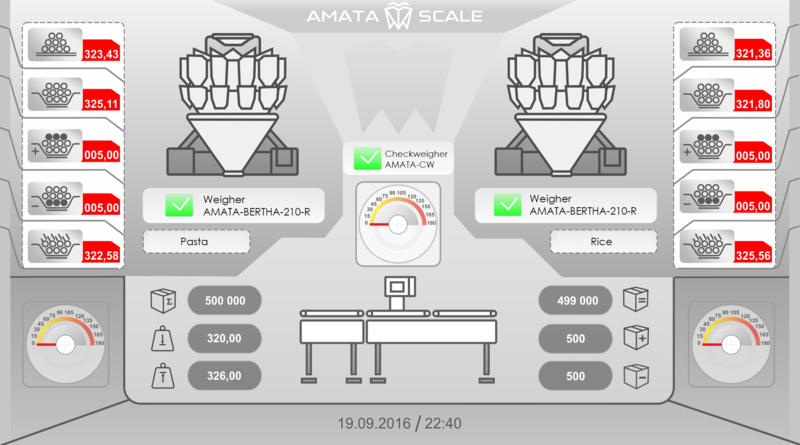 The AMATA SCALE company together with the B&R Industrial Automation company began the introduction of production control and automation systems, which make it possible to effectively manage industrial enterprises. Such production control systems can be installed in virtually any enterprise, from small laboratories to large-scale factories. All equipment in the processing line is united into a single network of growing density, and the operator can perform remote online monitoring of production parameters, including both operational control and statistical analysis. On-line monitoring of production lines and real-time data collection can improve product quality, increase productivity, and simplify the centralized management of operational and production parameters of machines and installations.